NEWPRO is one of the leading home improvement companies in New England with special national brand alignments including Kohler, Jacuzzi and Marvin. 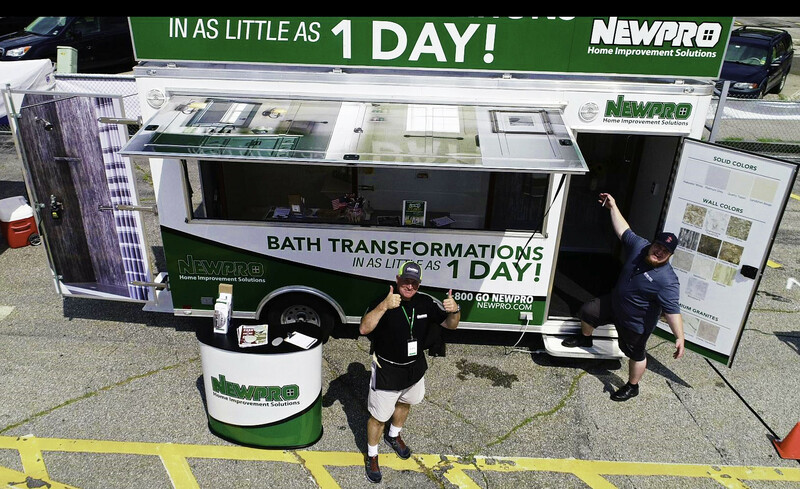 NEWPRO is seeking Sales Professionals to provide home improvement solutions to homeowners throughout New England. As one of the first lines of customer interaction you will be responsible for representing NEWPRO in the home, demonstrating our products and leaving the customer with an exceptional NEWPRO experience throughout the sales process. Sales Territories in MA, RI, CT, NH and ME. Products include replacement windows, doors, siding, roofing, bath replacement systems and Kohler and Jacuzzi walk-in tubs. Meet hundreds of homeowners and offer high performing products and services. Help meet our homeowners home improvement needs. Commit to learning the products and services provided. Deliver an exceptional NEWPRO experience from initial point of contact through sales and installation. We provide superior support to our outside sales teams to help them become as successful as they want to be. We view success as a team effort — that’s why NEWPRO is the ideal environment for new and continuing sales professionals. We provide you with a marketing support staff that qualifies and confirms every appointment, so you can focus your sales career on "selling" and not chasing down or generating your next lead. Continuous personal and team training and state of the art technology help you refine your skill set and stay ahead of the curve. Plus, you’ll get to meet amazing people throughout our community! Our compensation package is the best in the industry. We offer 60 days paid training plus full commissions. The average In-home sales representative earns $100,000 per year. We offer full benefits - health, dental, short term disability, life insurance and a 401K retirement plan to our Outside Sale Representatives.